It was VERY GOOD . I enjoyed hearing the Sunsets & early 80’s album tracks in particular. ABSOLUTELY BRILLIANT . Shut your eyes and you were him. Will definitely see you again! We had a FANTASTIC night. So good! GREAT show. Huge tribute to a British Legend, knock out performances! BRILLIANT show. We really enjoyed it! Really GREAT night. Can’t wait to see it again. Thoroughly enjoyed the show tonight. My Granddaughter Harley sang “Green Door” all the way home! This was absolutely BRILLIANT , so much so I went home and got all my Shaky vinyl out! Ha ha. BRILLIANT show. Not to be missed! We travelled nearly 5 hours to see this show and it was well and truly worth it. Thank you for bringing the teenager out in me again! BRILLIANT show, not to be missed if you love Rock n Roll! Very good and what a FANTASTIC band, full of energy. Non stop entertainment, definitely worth seeing! 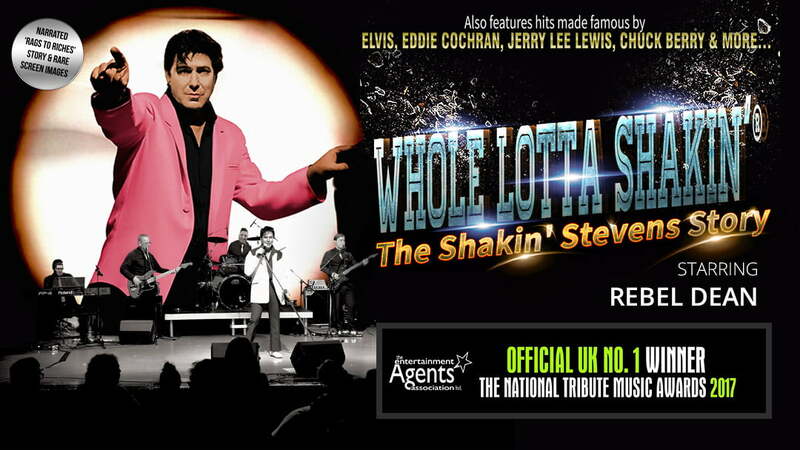 The only theatre touring tribute show in the world celebrating Shakin' Stevens, the U.K.’s most successful pop artist of the 80’s! Expect all the hits, "This Ole House", "Green Door", "Oh Julie"... and loads of nostalgia. 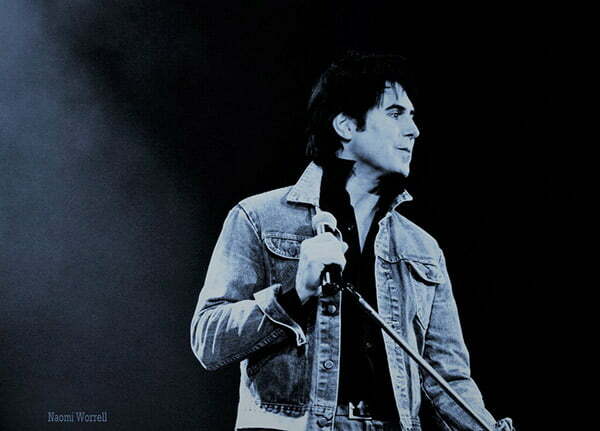 There has never been a theatre show celebrating the mega hits of the most successful rocker of the 80's until now! So come on this rockin' trip down memory lane, whether you're young or old! ~ By Dylan Clarke. 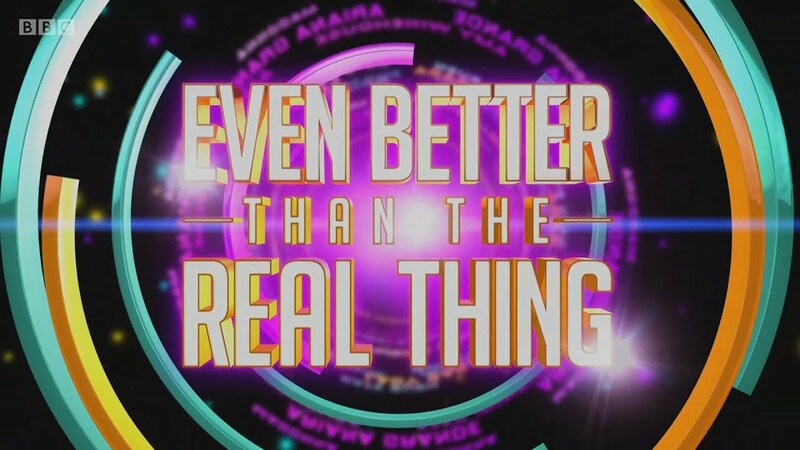 Chosen from 10,000 applicants to perform on BBC1's 'Even Better than the Real Thing' hosted by Paddy Mc Guinness. Saw Rebel Dean in his Whole Lotta Shakin’ tribute show last night in Andover. I'd seen a pilot run, over a year ago, in Southampton and was impressed then by his performance and the great band. Last night though was at another level. Backed by some different but equally talented musicians and now incorporating visuals, Rebel gave a very entertaining, informative and respectful tribute to Shaky. Kicking off with clips from 80s TV programmes he took me back to my teenage years. Musically the show started with the 3 non-Christmas number ones, and then rewound to tell the story of the Sunsets era. It was great to hear songs including Sea of Heartbreak, Donna, Sea Cruise, Sweet Little Sixteen and I Hear You Knocking (the latter interestingly performed after Rebel talked about the A Legend album, but using the Now Listen arrangement). There were lots of great visuals on the backdrop of photos, tickets, posters, and newspaper clippings. The show then moved on through the Elvis musical and Oh Boy / Let's Rock shows featuring Elvis and Eddie Cochran medleys in the same style as Shaky's performances in those shows. The second half of the show was dedicated to the 80s era, with a great selection of hits and album tracks. Rebel's singing and movement throughout were superb, it really was like being back at a Shaky gig in the early to mid-80s. He also had great rapport with the audience, wandering the aisles shaking hands several times. The band were excellent, particularly the drummer and I was super impressed that the lead guitarist was still a teenager. Ok, I went to see the Rebel Dean show (Whole Lotta Shakin') last night and it was incredible, absolutely brilliant. If you want the closest thing to how Shaky performed in his hey day then this is the best there is . The band was amazing too , I've put this on my forum because I want all you guys to consider following Rebel Dean. There where times (most of) when you really do think it's the real thing. I myself and my wife and friends will definitely be following and attending this multi talented guy and band.